Book this weekend and save! 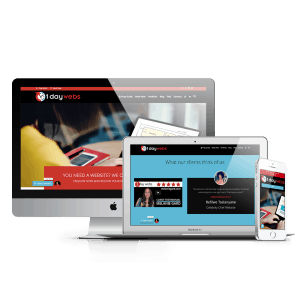 Have you been toying with the idea of getting your website done but haven’t committed to the process yet? 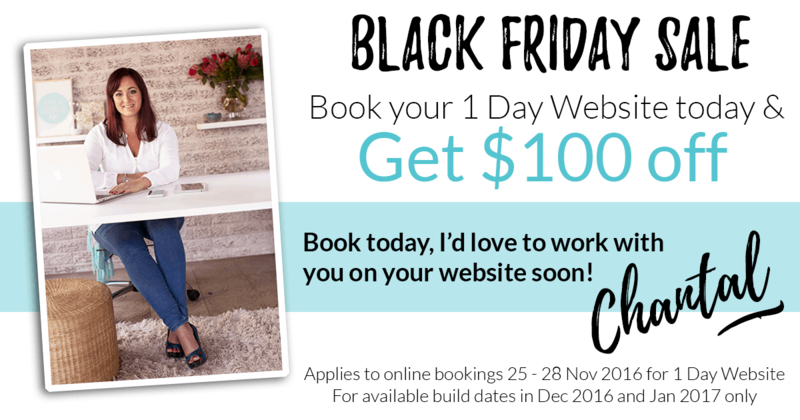 Well you may want to consider committing this weekend, from Black Friday to Cyber Monday, I am offering $100 off my 1 Day Website service! Don’t miss out on this opportunity to save $100! You know you need to do this for yourself and your business. Don’t leave it until January and before you know it the year runs away. Prioritise your marketing and get that preparation done this year so you can start 2017 with a gorgeous and effective new website! The $100 discount (off $800 cost) will automatically be applied for any build dates selected that qualify during the period of the sale – no coupon required.